Patient navigation has emerged as a promising strategy in reducing disparities among diverse cancer patients. However, little is known about navigators’ own perspectives on their roles in providing culturally competent care. The purpose of the present study is to describe these self-identified roles. Data were collected from an online survey with a convenience sample of cancer patient navigators. Using NVivo 10, qualitative content analysis was conducted on free text responses to the question: “In your opinion, what is the role of a patient navigator or nurse navigator in the provision of culturally sensitive care to patients?” Frequencies of each navigator-identified role mentioned were tabulated. Of 294 respondents, 50.7% (n = 149) provided a response to the question of interest. Respondents described the following 11 interrelated navigator roles in the provision of culturally competent care: (1) assess and understand patient needs, (2) tailor care to patient, (3) build rapport/open communication, (4) facilitate communication between patient and health care team, (5) educate/provide resources to the patient, (6) advocate, (7) self-motivated learning, (8) address barriers to care, (9) involve/meet the needs of family or support people, (10) educate/support health care team, and (11) support patient empowerment in care. 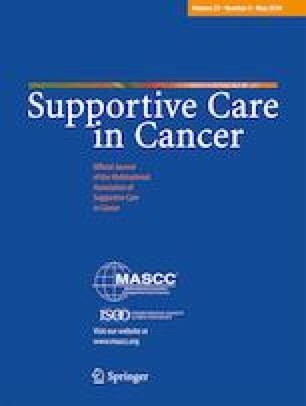 Patient navigators are uniquely well-positioned to improve cultural competence of cancer care given their role as liaison to patients and providers. Cancer care settings should use navigators with direct knowledge of patient culture whenever possible; however, communication and cultural competence training is highly recommended for all navigators given the diversity of patient needs. The following manuscript reflects original work and has not been submitted for publication at another journal. Culturally, linguistically responsive care is critical to reduce health care disparities . The importance of cultural competence in cancer care has gained deserved attention, with mounting evidence that failures in this area negatively impact care [2, 3]. Navigators occupy a strategic role in improving cultural competence in cancer care. Navigators are relative newcomers to the multidisciplinary cancer care team. Navigators come from a variety of backgrounds. Willis et al.’s framework describes similarities and differences across navigator types . Subsequent work has defined major tasks of navigators and articulated core competencies [5, 6, 7]. Regardless of background, navigators work to decrease fragmentation and address barriers to care [4, 5, 6, 7, 8, 9]. Navigators who are licensed social workers can provide psychosocial support and psychotherapy [4, 5]. Nurse navigators can coordinate clinical care [4, 5]. Natale-Pereira and colleagues suggest that navigators can mitigate distrust among racial/ethnic minority patients by establishing rapport with patients, particularly when navigators are from the patient’s community . As a “bridge” between the patient’s world and the health care system, navigators facilitate communication and identify resources to address language barriers, disparate perspectives on illness and care, and past negative experiences with health care services . For the purposes of navigation evaluation and research, experts consider navigator cultural competency to be a core patient-reported outcome measure [11, 12]. Numerous culturally tailored navigation interventions have been developed for diverse groups across the cancer continuum, with promising results [13, 14, 15, 16, 17, 18, 19, 20, 21]. These typically involve use of racially or linguistically concordant navigators and/or culturally relevant approaches [13, 14, 15, 16]. The Massachusetts-based Cervical Health navigator program’s Spanish-speaking Latina immigrant navigator provided in-language education, mitigated barriers to care, and assisted with appointment scheduling. Navigated women had fewer missed colposcopy appointments and lower grade of cervical abnormality . Use of racially concordant professional and peer navigators to provide education and support was also effective in a Harlem-based intervention to increase uptake of colonoscopy among African Americans. The program tailored education for participants by using colloquial language, highlighting colorectal cancer disparities for African Americans, and addressing salient barriers . There are also strong examples of culturally tailored navigator programs serving American Indian populations, including the Walking Forward and Native Sisters programs. Effective strategies included involvement of tribal leadership in program development, employment of indigenous navigators, and use of culturally relevant educational materials. Results from these programs included greater mammography adherence and fewer days of treatment interruption among patients receiving curative radiation therapy [22, 23, 24, 25]. Despite the importance of cultural competence, navigator programs are often not tailored to address specific cultural needs. Navigators must serve a wide diversity of patients. Furthermore, training for navigators is not uniform and rarely includes strategies to support diverse patients from discordant life experiences [26, 27]. Research on navigators’ cultural responsiveness is lacking, particularly from the perspective of navigators themselves. The aim of this study is to report diverse navigators’ self-described roles in supporting culturally sensitive cancer care. Results from this study informed a novel educational intervention for cancer care professionals and can inform future educational offerings to better equip navigators to meet the needs of diverse patients . Content analysis was conducted on survey comment fields, and codes were enumerated. Qualitative analysis, conducted in NVivo 10, used a pragmatic inductive approach. Coding was completed by research staff members with experience and training in qualitative analytic methods. Authors SP and GC independently coded a subset of responses before comparing preliminary codebooks and then developed a common codebook to apply to the entire set of responses. Passages were coded to multiple codes where appropriate and were not coded if they were nonresponsive to the question of navigator role in provision of culturally sensitive care. SP and GC met regularly to resolve discrepancies, resulting in over 95% inter-coder agreement. SP, AV, and MPC reviewed the final codebook and codes for conceptual soundness. Quantitative analysis was conducted using Stata 14, including tabulation of participant characteristics and code counts. Logistic regression was used to check sociodemographic differences between respondents versus non-respondents. Of the 313 respondents who started the survey, 294 met eligibility criteria. The 149 individuals (50.7%) who responded to the question of interest were predominantly female (97.3%), white (77.9%), heterosexual (91.3%), and English-speaking only (84.6%). Participants were most frequently 55–64 years old (32.9%); worked in a hospital or department within a hospital (22.8%), community cancer center (21.5%), or hospital-affiliated clinic or outpatient clinic (20.1%); worked in a southern state (35.6%); and had “quite a bit” (34.2%) or “some” (32.9%) diversity training in the past. Table 1 contains details on participant characteristics. Those who responded to the question of interest tended to be older (p = 0.01) than those who did not, but did not statistically significantly differ on race, previous diversity training amount, geographic region, or foreign language ability. Text examples included below are not edited for grammar. A small number of responses (n = 12) were too vague to be meaningfully coded. Navigators identified 11 interrelated ways through which navigators perceived their facilitation of culturally competent care. Code counts were too small to meaningfully distinguish demographic heterogeneity across themes. These assessments equipped navigators with the information necessary to support tailored services for each patient. Navigators described patients as individuals who identified with particular groups and sought to adjust services to be most appropriate for each patient. To build trust for individualized assessment, navigators recognized active listening and approachability as important skills. Navigators reported skills to communicate effectively with both patients and providers. They helped resolve misunderstandings, bridge the patient and biomedical culture, ensure interpretation services, and facilitate care solutions acceptable to patients. One navigator described serving as a single point of contact to inform providers of patients’ cultural preferences as care transitions occurred. After discovering the patient’s cultural perspectives and linguistic needs, navigators reported tailoring resources to be most relevant and responsive to patient needs. Navigators described serving as a resource among staff in modeling culturally competent behavior, teaching others about specific cultures and the significance of culture, and encouraging others to provide culturally sensitive care. Navigators helped empower patients to share their beliefs, make decisions, and communicate preferences with others. It is striking yet unsurprising that navigators describe their roles in a way that aligns with the core functions of navigators as described in the literature [5, 6, 28]. The founder of the field of navigation, Dr. Harold Freeman, describes navigation as “a patient-centered health care service delivery model” . Epner and Baile eschew outdated “categorical” approaches to cultural competence that stereotype patients based on cultural group membership, and suggest that patient-centered strategies of negotiating cross-cultural communication are key to culturally competent care . Similarly, in a discussion of patient centeredness, cultural competence, and health care quality, Saha and colleagues conclude that “many of the core features of cultural competence and patient centeredness are the same” . Although each has unique elements and different foci, essential elements of both patient centeredness and cultural competence at the interpersonal level include the ability to view each patient holistically as unique individuals, build rapport, explore patient worldviews and perspectives of illness, practice non-judgment, tailor care to patient needs, and negotiate agreement about treatment. Thus, patient centeredness may provide a strategy to address inequities by promoting patient rapport and affective support . The interrelation between cultural competence and patient-centered care may explain why several respondents described their role in supporting cultural competence as an integrated aspect of their inherently patient-centered navigation responsibilities. Many typical activities such as assessment, rapport-building, addressing barriers to care, and facilitating communication are patient centered in nature and are not exclusive to issues of culture [6, 31, 32]. For instance, navigators may take the time to gain a deep understanding of patient perspectives of their illness. These patient-centered actions begin dialogues about culture-informed viewpoints critical to the provision of culturally competent care. Findings from this study should inform future educational offerings for navigators of all types. Since navigators play critical roles in assessing needs and troubleshooting barriers to care, tailoring care, bridging communication between patients and the health care team, supporting patient empowerment, advocating for patients, and providing resources and support to patients and caregivers, strategies to perform these functions should be included in training and professional development offerings. Current navigation trainings, tools, and resources have been recently summarized . One training that is available online and at no cost is the GW Cancer Center Oncology Patient Navigator Training: The Fundamentals . Additionally, the GW Cancer Center TEAM Training was piloted in 2017 to improve cultural responsiveness among multidisciplinary teams and support system-level health equity improvements, leveraging data from the present study to inform the curriculum . Finally, a new resource was created to help patients bring forward their individual care priorities through the TEAM Training project: “I Want You to Know” patient cards, which are available in English, Spanish, and simplified Chinese at http://bit.ly/TEAMPatientCards. The study used a web-based convenience sample of volunteer participants and only half of survey respondents answered the open-response question, introducing selection bias. Participants and findings may not be generalizable to the larger population of U.S. oncology navigators. Content analysis of survey comment fields allows for enumerating frequency of ideas among a large sample (although this number cannot be considered an estimate of prevalence) while simultaneously eliciting unanticipated perspectives and preserving the respondent’s voice . However, a limitation of the study typical of this methodology is that responses in the open-response field are brief and lack the depth and detail characteristic of other qualitative data. Furthermore, some of the open-response code counts have low frequencies, making more complex quantitative analyses difficult. Future qualitative research can build upon findings through in-depth interviews with navigators to develop a deeper and more nuanced understanding of perceived roles in cultural competency. Future quantitative studies could use the navigator roles identified in the present study to survey a larger sample of navigators to explore patterns in self-reported roles by respondent demographic or practice characteristics. This study suggests that training in patient communication and culturally competent practice is important for navigators, regardless of background, given their unique role as liaison and patient advocate on the multidisciplinary team. As several respondents noted, navigators often function as spokespeople for the health care team as the first and primary point of contact for patients. This study also highlights the critical role of navigators in provision of culturally responsive, patient-centered cancer care. This research was supported by the Pfizer Foundation. Contents are solely the responsibility of the authors and do not necessarily represent the official views of the Pfizer Foundation. REDCap infrastructure that made this project possible was partially supported by Award Number UL1TR001876 from the NIH National Center for Advancing Translational Sciences. Its contents are solely the responsibility of the authors and do not necessarily represent the official views of the National Center for Advancing Translational Sciences or the National Institutes of Health.